MOSCOW, August 17. /TASS/. Russia’s Far East may become a new platform for expansion of bilateral cooperation between Russia and India, experts of the Far Eastern Federal University’s think tank told TASS. For the first time, 'Russia-India' business dialogue has been included in the business program of the Eastern Economic Forum (EEF-2017) due in Russia’s Vladivostok on September 6-7. According to the Ministry for the Development of the Russian Far East, Nirmala Sitharaman, India’s Minister of State for Commerce and Industry will head the country’s delegation at the forum. Also, official figures and over 30 heads of Indian companies have announced plans to participate in EEF-2017. India can tap new and rethink traditional scopes of engagement with Russia through cooperation with the Far East, the Russian Foreign Ministry’s official Vladimir Konovalov thinks. Experts of the Far Eastern Federal University share the view. According to Director of the School of Humanities at the University Felix Azhimov and Yevgeny Baranov of the Expert and Analytical Center, the cooperation between Russia’s Far East and India is only emerging in a number of areas that have a huge potential in this respect. Among such areas are pharmaceutical industry, medical tourism, ecology, and food safety. Experts also noted the importance of moving away from ‘Moscow - Delhi’ cooperation model to ‘India - Russian regions' model. They assume that the partnership between the two countries in ‘traditional’ fields has already hit its ceiling, while the projects in strategic areas implemented under the state’s guidance usually rides on the political will and administrative resource. "In this regard, a shift to local projects at the level of mid-sized and small business may turn the situation around," they said, adding that it may also kickstart game-changing transformations in the relations between Moscow and New Delhi and revive them, making it more profitable for both sides to cooperate. According to analysts, international institutions, such as the Shanghai Cooperation Organization (SCO) and BRICS, as well as Russia’s Eastern Economic Forum, play an important role in deepening the cooperation between Russia and India. "Russia’s Far East has a huge potential for deepening the Russian-Indian cooperation through international institutions, be it SCO, BRICS or EEF, which will see a meeting in a 'Russia-India' business dialogue format in 2017," the Expert and Analytical Center’s Vitaly Savenkov said. He considers expectations of enhanced cooperation between the two countries in various spheres to be "more than well-grounded", if the sides manage to combine the global and regional potential of the above-mentioned integrations with Moscow and New Delhi’s striving for cooperation. 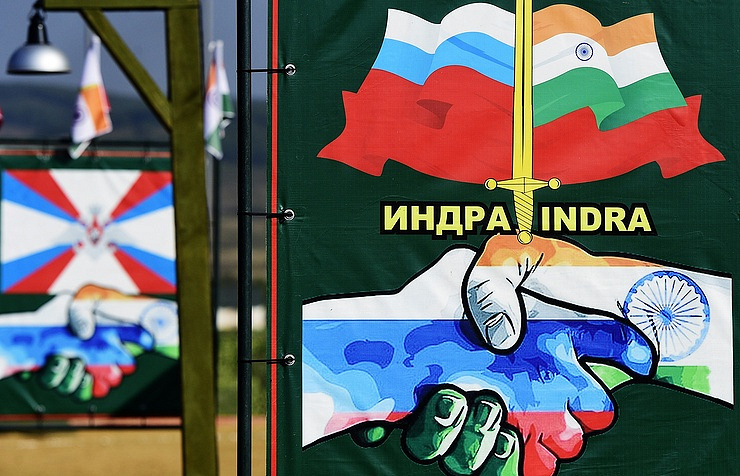 Deputy Director of the Expert and Analytical Center Dmitry Shelest assumes that it is necessary to use the mechanisms that have proved useful in the Far East, to boost the Indian presence in the region. "The Indian side is aware that there are 19 priority development areas in the Far East, with various percentage of completion to cooperate with foreign investors," he said, adding that this and many other initiatives can help implement economic projects involving the Indian side. "Big state initiatives, such as priority development areas, are really useful, provided that they are being implemented through the ‘cooperation for the sake of regional development’ model, instead of ‘cooperation for the sake of cooperation’ model," Azhimov and Baranov said. Experts of the Far Eastern Federal University also think it is important to build up structures to promote business in India and Russia in order to develop bilateral projects. "As an example, a council on cooperation with Indian businessmen and investors can be established. A similar body can be set up in India. Structures focused on local peculiarities, may be useful for businesses in both countries, as they can cooperate simultaneously with entrepreneurs, representatives of culture and authorities," Shelest said. 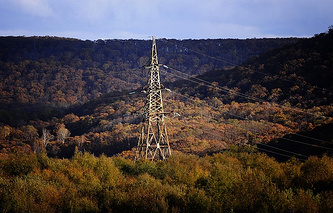 The initiative is particularly important due to the fact that insufficient knowledge of cultural peculiarities and local practice of doing business often hinders the cooperation between small and mid-sized businesses in Russia and India, he said, adding that the sides are challenged by differences in cultural, religious and business traditions. Also, experts said, multifunctional transport hubs should be formed in the Far East, and it is necessary to cut the delivery periods for Far Eastern consumers of Indian goods and provide extended education for customs brokers in the region working with Indian cargoes, in order to promote the relationship between Russia and New Delhi. Third Eastern Economic Forum will be held on September 6-7, 2017 in Vladivostok. The TASS Agency is the general information partner of the EEF-2017 and moderator at the site for presentation for investment projects. The participants of ‘Russia-India’ business dialogue will discuss investment opportunities in shipbuilding, fishing, woodworking industries, geological exploration and minerals processing, oil and gas sector, diamond cutting, pharmaceutical industry, agriculture, tourism and traditional Indian medicine.